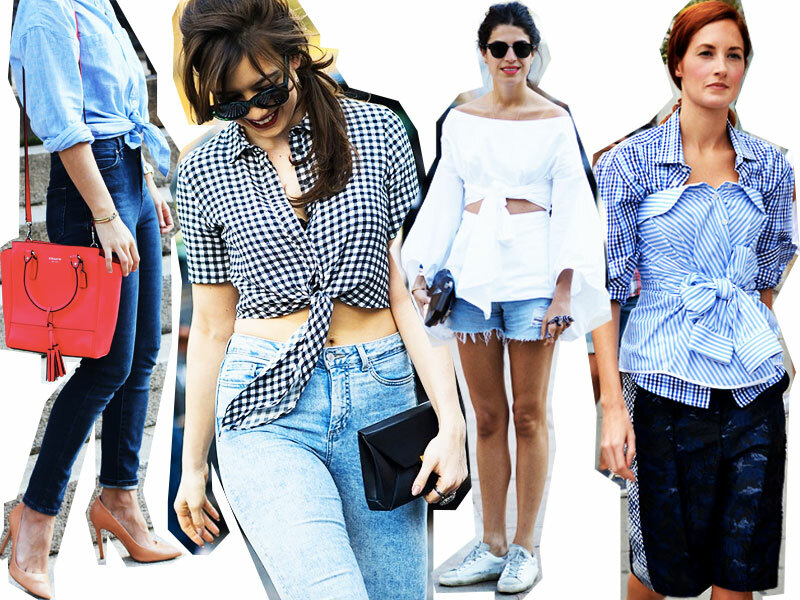 It's hot outside and you're sick of wearing crop tops. I get it. You want something a bit more classic, a little less music festival. Luckily for you, the item you seek is already lying around in your closet! 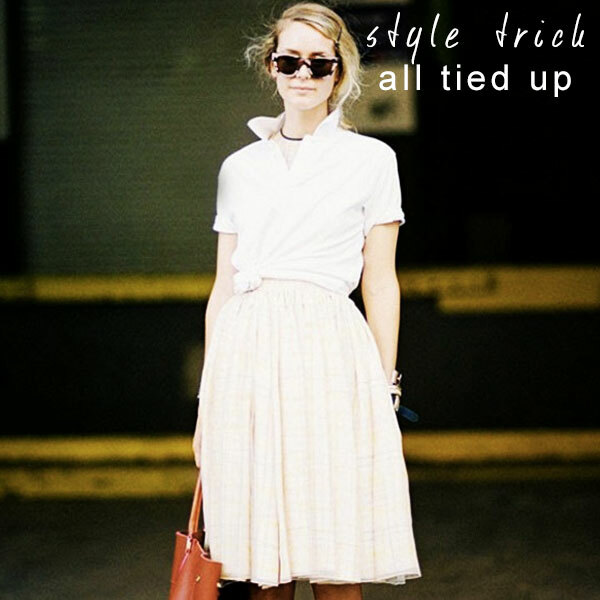 With some artful styling, sleeve-rolling, and knot-tying, you can transform a button-down shirt into a chic summer piece. For best results, tie the hem of your shirt in a knot, leave the top few buttons unbuttoned, and haphazardly roll up the sleeves. Pair with high-waisted jeans or a midi skirt and you have yourself a sassy summer look that still looks polished and put-together. No hot messes here! What are your favorite summer styling tricks?